PC speakers are an important part of your computer or laptop as most of you like to listen to music or play games on your system. Apart from that, various audio notifications require the connection of the speakers to your system. There are a variety of speakers available with different types of specifications and output. To know which computer speaker will suit your requirement, take a look at the list of some of the best computer speakers given below. 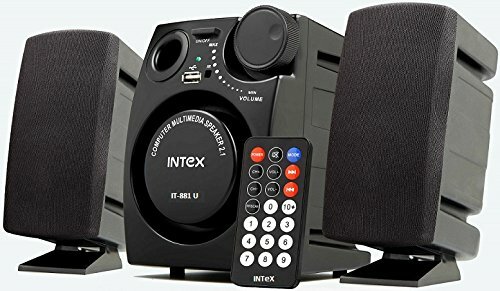 If you are looking for a speaker with good sound quality at a cheap price then Intex speakers can meet your requirement. It is a 2.1 speaker with USB. It is fully functional with remote control which is quite attractive at such low cost. The bass quality of the woofer is decent enough for normal usage. The USB port allows you to play your songs on mobile or pen drive directly. 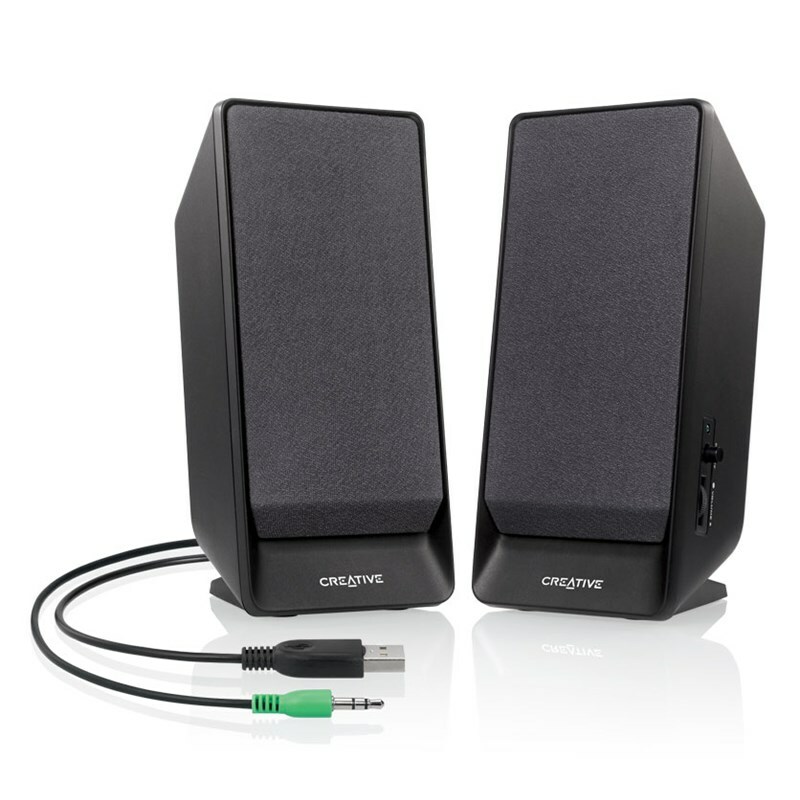 Logitech PC speakers are known for its great sound output and quality products. 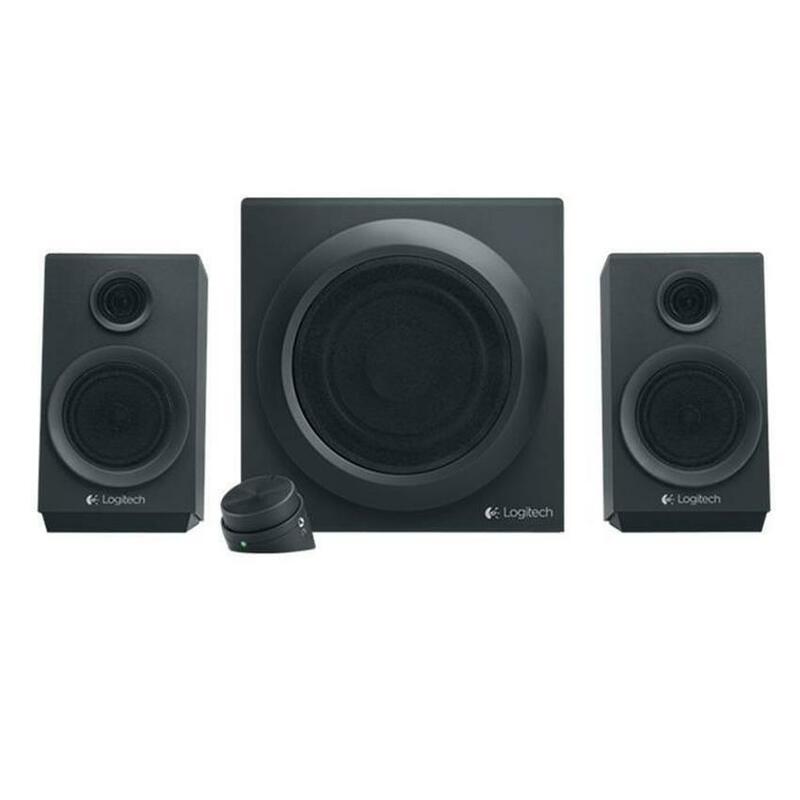 This 2.1 speaker from the Logitech also delivers excellent audio output which comes with reasonable pricing. The woofer of this 2.1 multimedia speaker delivers rich bass effect with clear loudness. You can easily connect it to any device including a computer, laptop, mobiles, and iPods. Controlling the speaker is quite easy with its wired pod remote which also has a 3.5 mm jack input to connect with your headphone and Bluetooth for pairing with your phones wirelessly. 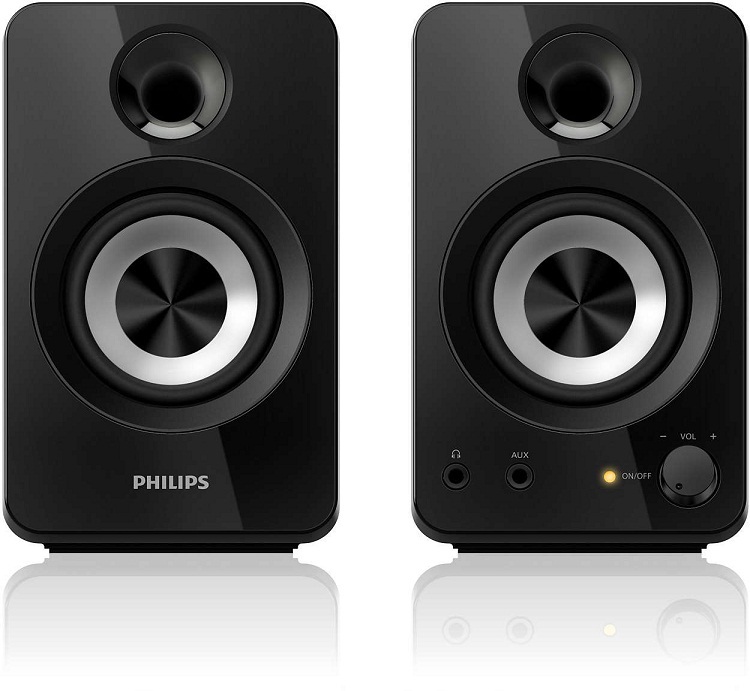 If you are looking for a speaker that can reproduce clear sound quality without consuming much space on your desktop, then this speaker from Philips can meet your need. It has got reflex speakers that can deliver deep bass effect. The design of the speaker is simple but attractive with its glossy finish. It comes with an aux-in and headphone out jack which helps in listening to your music without disturbing others. 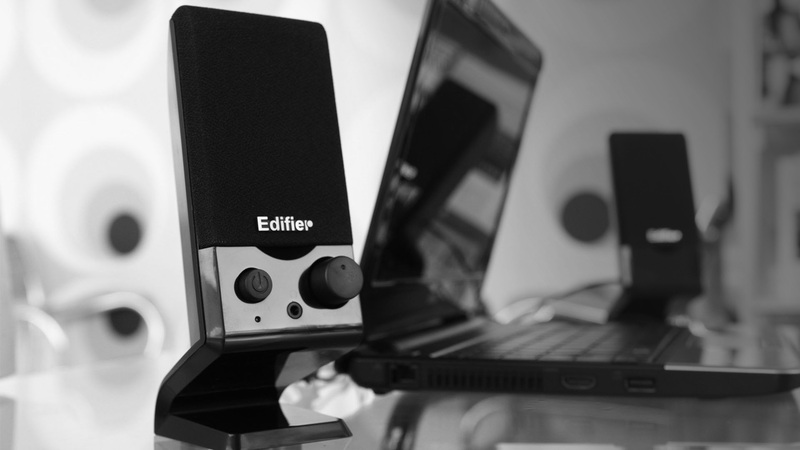 It is an apt companion for your computer and laptop when it comes to portable speakers. It delivers high-quality sound even being small in size. The USB port of your system can power it, hence you don’t need any separate power cord for it. The speaker can be connected to multiple devices with the help of its 3.5 mm jack. It is designed with an inbuilt bass port it delivers crystal clear audio output without any distortion. 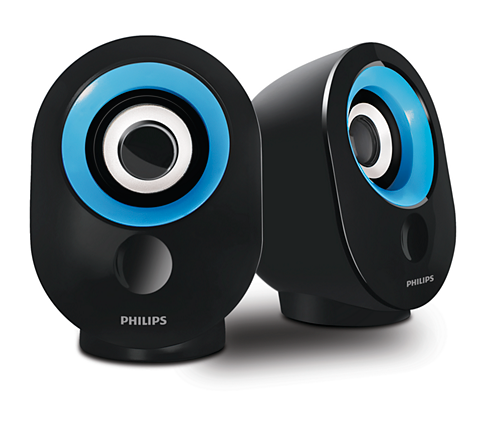 It is a cute looking desktop speaker from Philips which can meet your basic sound output requirement. It can be powered by USB plug and can be carried easily anywhere. It is not typically meant for listening music with deep bass but can play sound with decent clarity. These external speakers are good for both PC as well as a laptop. It is a stylish desktop speaker which comes with a wooden finish. Apart from looking attractive the performance of the speaker is also good with crystal clear sound. You can enjoy a great audio quality of movies, music, and games while playing them. The 2.1 speaker can deliver enhanced bass effect with crisp clarity that can be heard even in large rooms. These are some of the basic PC and laptop-compatible speakers that can give superb audio output and crystal clear sound. 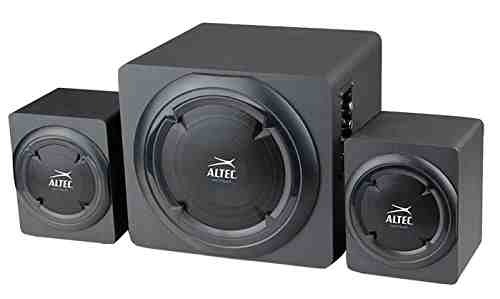 These speakers are also not highly priced and are an apt choice who are looking for low-cost speakers. Therefore if you are on a quest of buying speakers for your desktop PC or laptop, there these are some of the choices you can opt for.